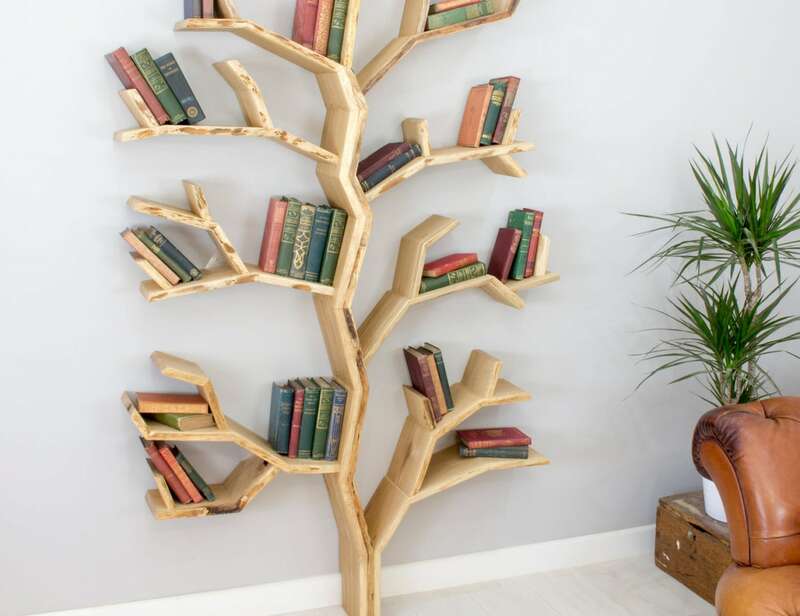 Display your books in full pride with the BespOak Elm Tree Wood Bookshelf. 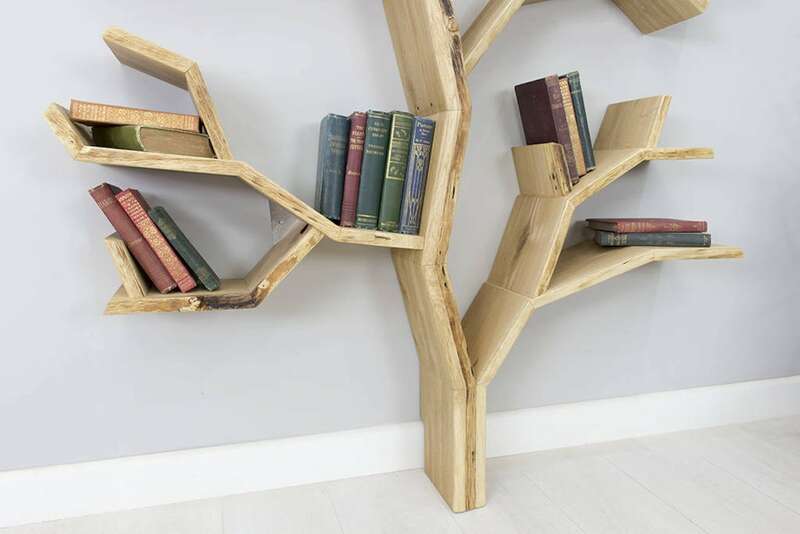 This bookshelf looks like a tree growing out of your floor. 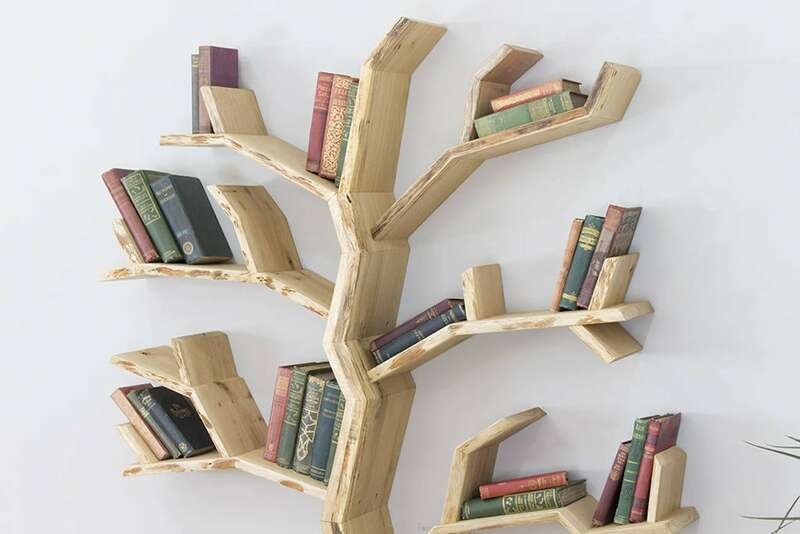 Display your books in full pride with the BespOak Elm Tree Wood Bookshelf. 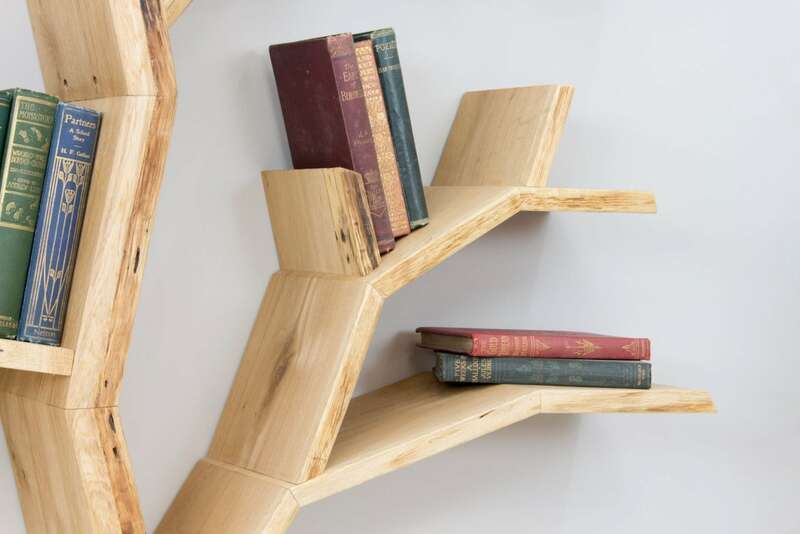 Using real wood, this bookshelf looks like a tree growing out of your floor. 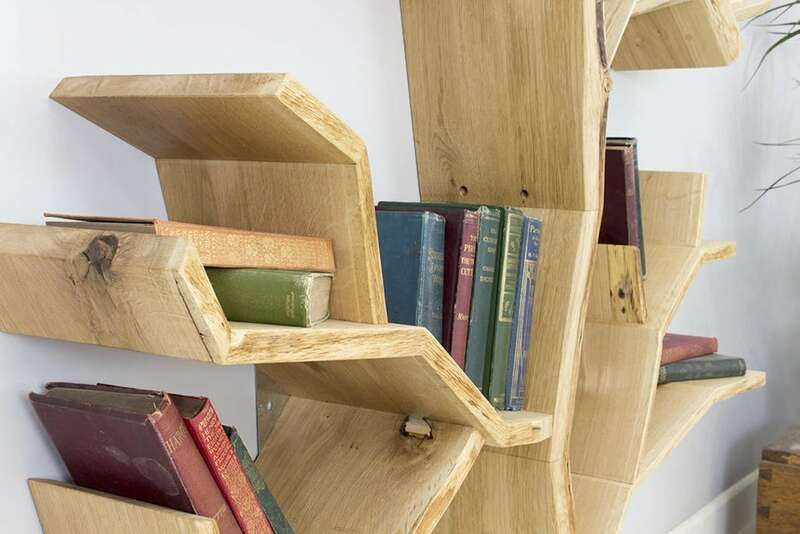 The Elm Tree Bookshelf has a sturdy trunk that branches out into multiple shelves. 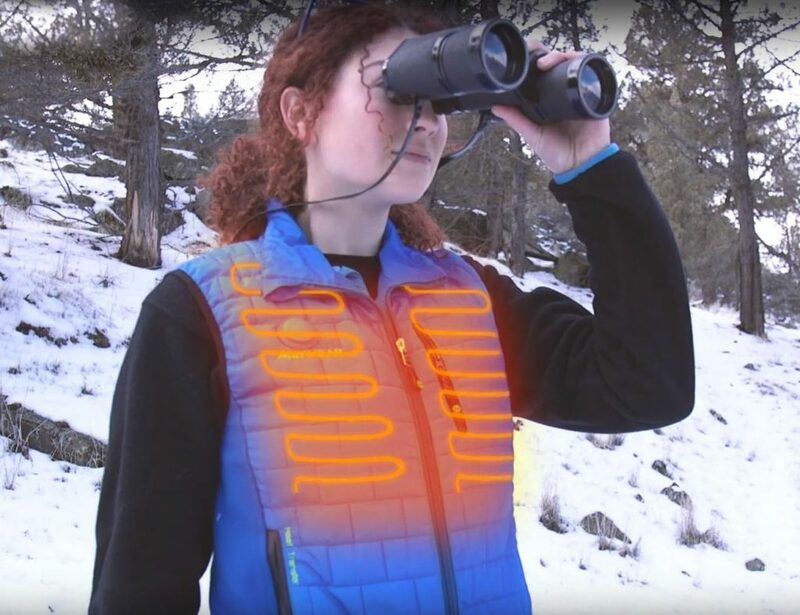 These shoot off in a variety of directions, just as you’d expect with a typical elm tree. 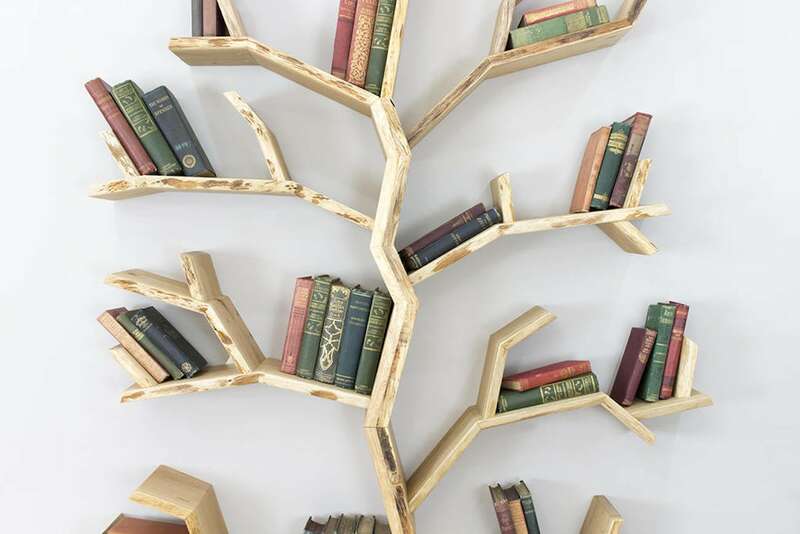 Perfect for any book selection, the Elm Tree Bookshelf has multiple customization options. 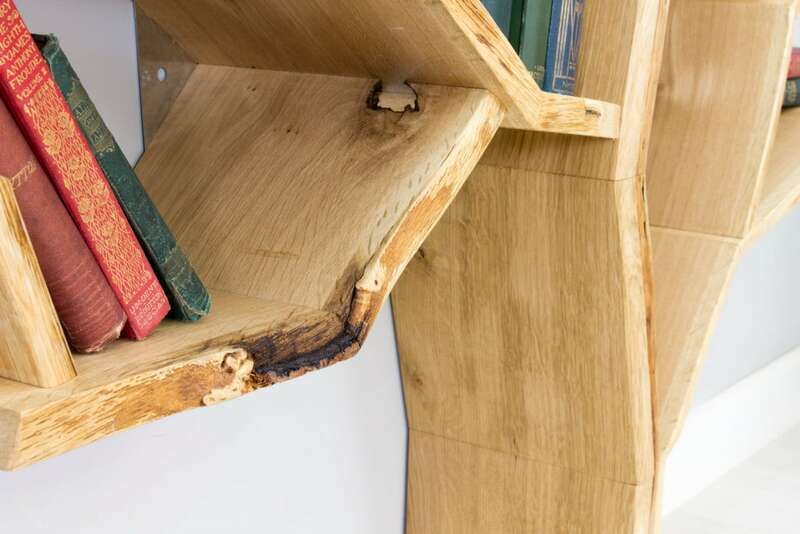 Totally handmade to order, the bookshelf can have square, waney, or bark edges. 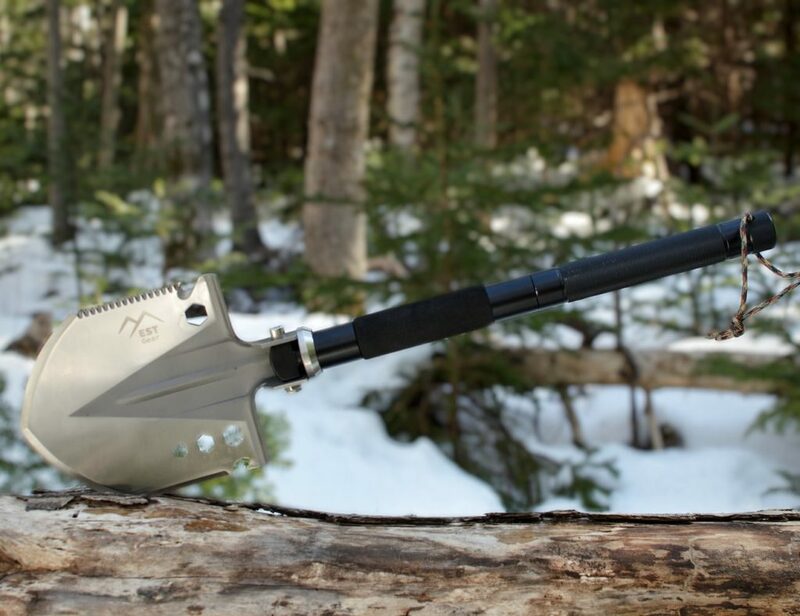 In addition, you can also opt for an oiled, lime, or dark finish. Due to the natural material and the incredible craftsmanship, each bookshelf is unique. Each shelf is from 180-200mm thick to handle all of your books.